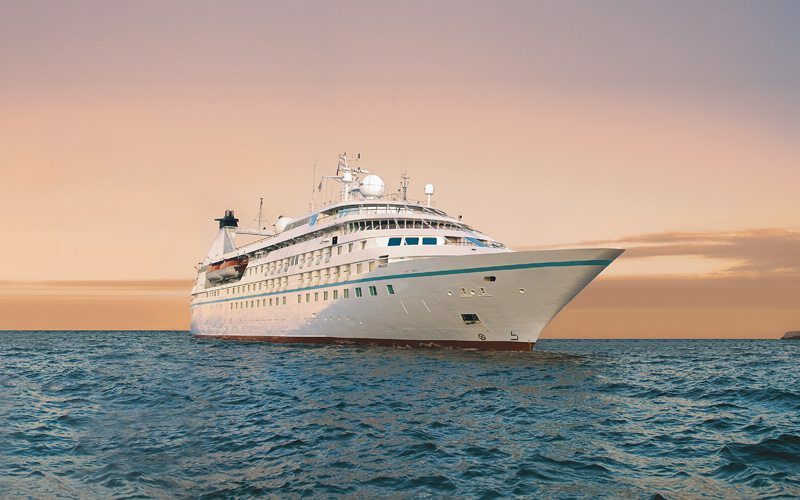 Windstar Cruises is welcoming the 212-guest Star Pride back to its fleet after an extensive $4.5-million refurbishment that remodelled public spaces, suites and the ship’s outer decks. She now features the same amenities that her fleetmates Star Breeze and Star Legend received before they entered service. The total investment Windstar has made on these three ships, acquired from Seabourn back in 2013, now exceeds $21.5 million dollars. Star Pride’s public areas received a fairly substantial makeover. Photo courtesy of Windstar Cruises. 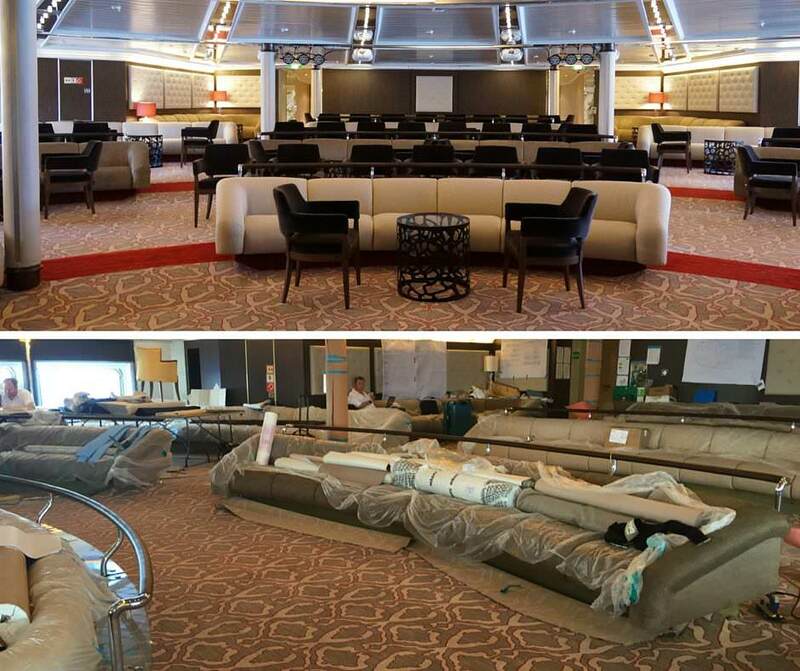 The ship’s Amphora Restaurant also benefitted from this recent refit, with new flooring, wall treatments, lighting options, and a redesigned seating layout. A new public bathroom was added outside the restaurant’s main entrance, which is sure to please guests who, in the past, had to hike up one level of the spiral atrium staircase in order to use the restrooms. 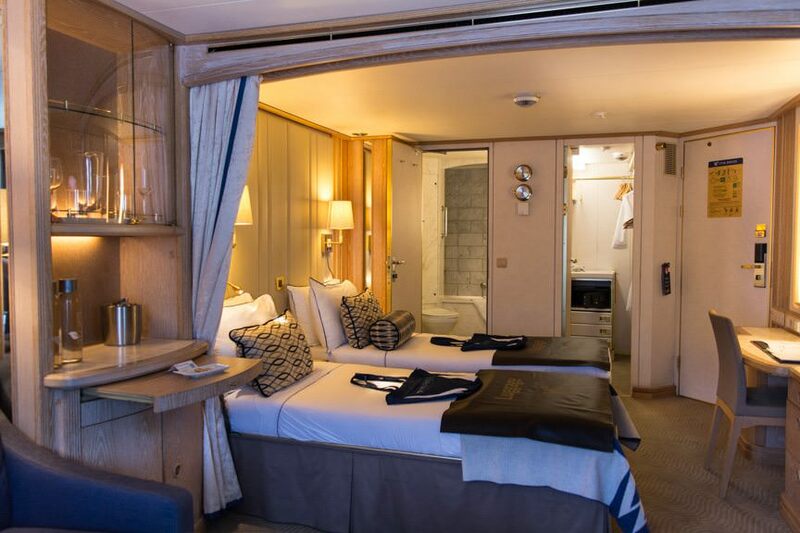 The Veranda now features sliding glass doors and an aft glass windscreen, while Star Pride now boasts an expanded outdoor courtyard with virtual garden wall, bringing her in-line with sisters Star Breeze and Star Legend. Star Pride’s upper Sun Deck was also expanded by four feet on either side, following similar renovations to Star Breeze and Star Legend. On the pool deck, a new swim-against-the-current pool has also been installed, keeping her in-line with her sister ships. Star Pride commenced her first Mediterranean sailing of the year on June 9 from the port of Piraeus. She spends her summer in the warmth of the Mediterranean, before setting out across the Atlantic Ocean in October with a relaxing transatlantic crossing. 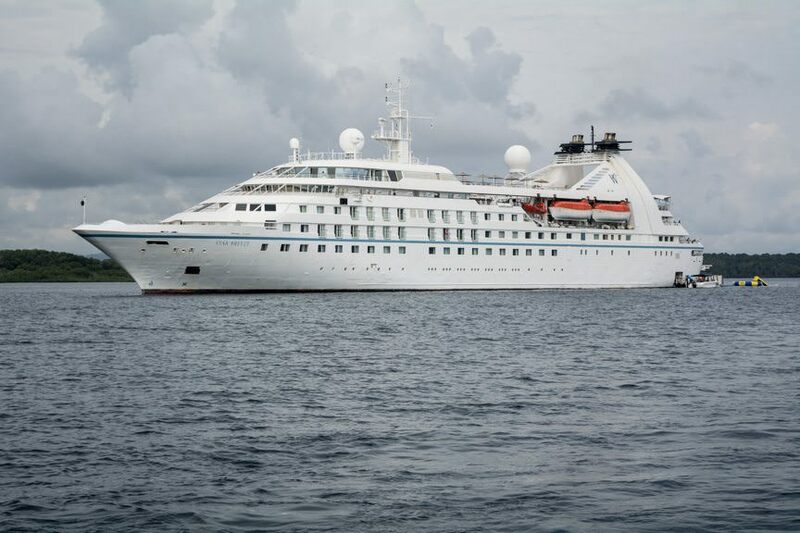 Star Pride returns to the Caribbean briefly, operating Windstar’s popular Best of the ABC Islands itinerary that operates from Oranjestad, Aruba to Bridgetown, Barbados and its Jewels of the Windward Islands sailings from Bridgetown. In early 2017, Star Pride returns to operate Windstar’s Costa Rica & the Panama Canal itineraries before setting out across the Atlantic again in April. Read our Live Voyage Report aboard Star Breeze through Costa Rica and the Panama Canal. Thanks for the update! Sailing on Star Pride out of Rome on 8/2. Have not been on Windstar in over 15 years. So this is our first opportunity since they were spun off from under the wing of HAL. And of course our first chance to experience the motor yachts. 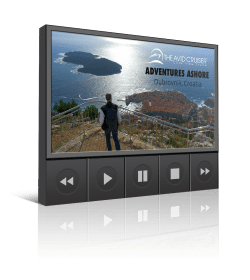 As Seabourn these choices were beyond our budget. 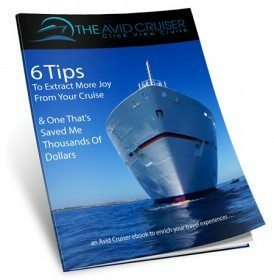 Windstar does not seem to have trimmed very much and they are offering exceptional values, especially considering the passenger count. Will post again after we return from 2 weeks in Italy and the Adriatic Sea. Thank you for the update. I will be on Star Pride in November for our first Windstar Cruise going to Best of the ABC Islands itinerary that operates from Oranjestad, Aruba to Bridgetown. I am excited to be going and seeing this update was great.